One of the shoes has the soft leather snagged across the front toe - SEE PHOTOS. Easy slip on mule with removable insole. Easy Spirit shoes are synonymous with comfort, style and functionality. Their clogs team up perfectly with trendy jeans and t-shirts. Style: Clogs. Dress & Formal. Fashion Sneakers. Toe Style: Closed Toe. 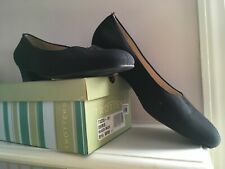 Women’s 8 1/2 W Trotters Black Microfiber Dress Pumps 1 1/2” Heel Worn 1X. Condition is Pre-owned. Shipped with USPS Priority Mail. 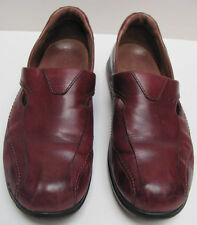 Suade man Shoes. Condition is Pre-owned. Shipped with USPS Priority Mail.